A Turkish man has attacked a demonstration in Germany’s Nuremberg, held in solidarity with the children jailed along with their mothers in Turkey. 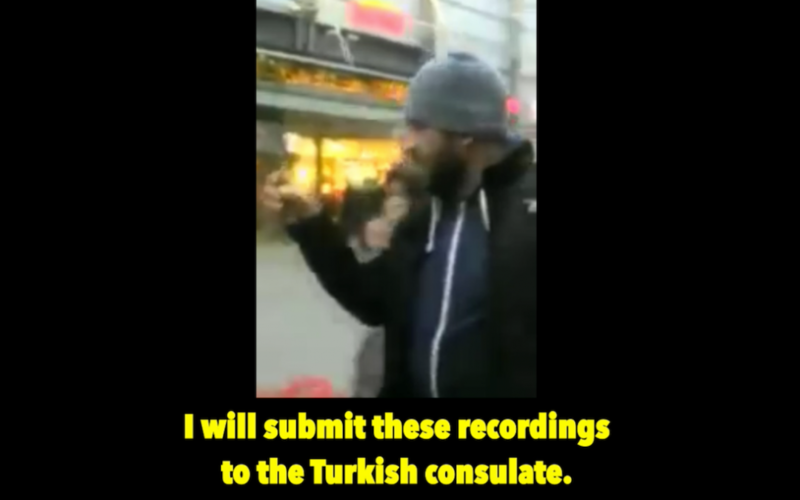 In a video recording posted by journalist Fuat Baran on Twitter the other day, the assailant is heard swearing at the group before physically attacking some of them. Turkey Purge has failed to identify him as of the time of this writing. The demo was a part of the worldwide awareness campaign mostly organized by the overseas supporters of the Gulen movement against the Turkish government’s jailing of children aged 0 to 6. According to government data, at least 668 children are now in jail along with their father or mother as none of their parents were left outside the prison. On some occasions, pregnant women were jailed as well. Turkey survived a military coup attempt on July 15, 2016 for which the government put the blame on the Gulen movement which it calls FETO, stands for the alleged Fethullahist terror group. Armed with the post-coup emergency rule, Turkish government has launched an ever growing crackdown against the civil society detaining 150,000 people and jailing 60,000.